I started a new full-time job in December, so until I accumulate more vacation days, I’m working hard to make the most of my weekends! That’s just one reason it’s been a relatively enjoyable January. This is always my favorite month because there’s usually not much you have to “do,” and you have a chance to catch your breath and mentally prepare yourself for the year ahead. This year I spent most of my nights and weekends recovering from my new work schedule; however, I did manage to squeeze in a few mini adventures along the way. * Some background: I have to park on the street, and it’s a tradition in my densely populated neighborhood to save the spot you dug out with a cone (or any random item you have on hand). During the long New Year’s weekend, I rang in 2019 by enjoying a hearty Italian dinner with friends in Boston’s Seaport District (confession: I was home by 11:45 p.m.) and followed it up the next day with a bento lunch at Momi Nonmi in Cambridge with fellow bloggers. This was my first time trying bento and was pleasantly surprised by the experience. 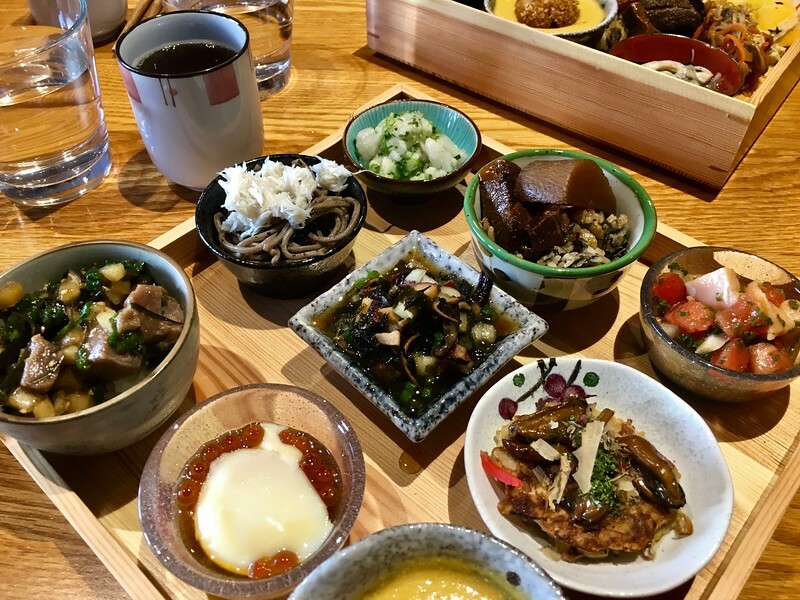 I found the meal to be much more filling than I expected, and this particular bento included foods typically eaten on New Year’s Day, which was a fun touch. Another very memorable meal I had this month was with a fellow writer friend at Whaling in Oklahoma in Boston’s South End neighborhood. I also made two quick weekend trips out of town. During the long Martin Luther King weekend, I met my college roommates for our annual get together in New York City. Unfortunately an ice storm hit the northeast, and my 48-hour trip turned into a 24-hour trip – my bus back was cancelled, but I was able to hop on an earlier Amtrak. Luckily, I had just enough time to enjoy cocktails and conversation with dear friends and take in the Broadway show Mean Girls, which I thought was fantastic. Just a few of the goodies the generous staff at AC Hotel Worcester left for me! 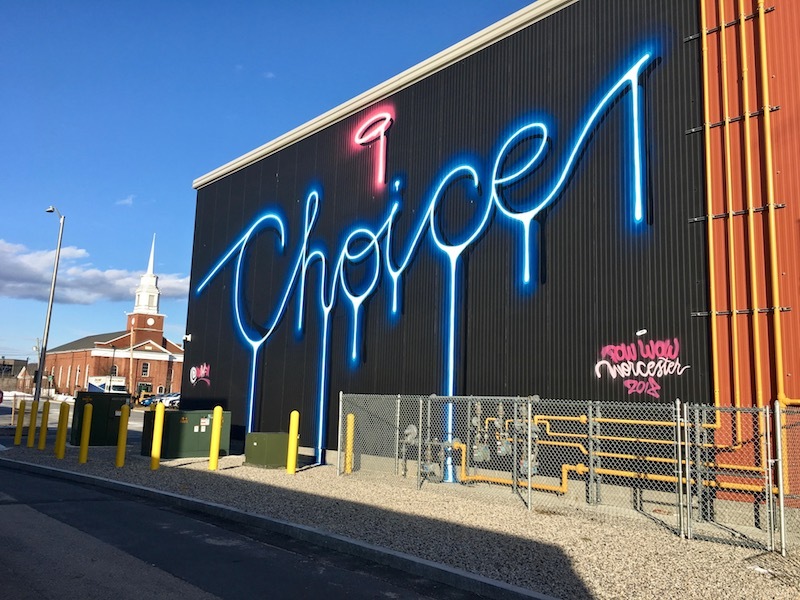 The following weekend two friends and I made the hour drive west from Boston to Worcester (Massachusetts), where we spent a frigid 24 hours eating, drinking, shopping, and scouting street art. 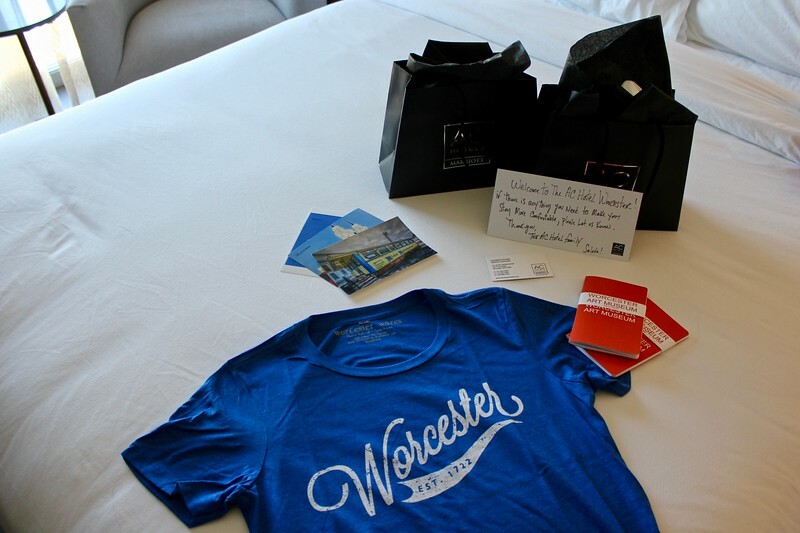 The trip was inspired by an invitation to check out the new AC Hotel Worcester, which gave us an incredibly warm welcome (AC Hotels has four locations in Boston and Cambridge too). I’ve always enjoyed stopping in Worcester during work trips because it’s home to my favorite restaurant in the region, Armsby’s Abby. Now others have caught on to how cool it is, and its popularity has started to grow over the past few years. Even though this time it was a short trip, it was a nice break from our typical routines, and we all agreed we need to come back again soon – we have many more restaurants and breweries to try! It’s hard for me to do much after work. For some reason, the drive home is much longer than in the morning (It seems that’s the case for everyone I know who commutes. I’m not sure why??). And given that it’s winter, it’s dark out, so 6 p.m. easily feels like 9 p.m. I did manage to swing by AdventureConnect, a local meetup of the Adventure Travel Trade Association, which featured a fascinating presentation by Gregg Bleakney, who created a video campaign for Colombia that touted the country as a top destination for bird watchers. 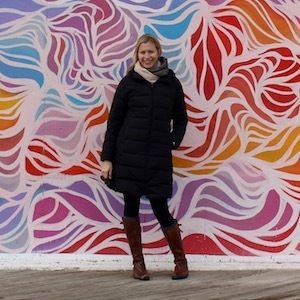 I also got together with three new friends – coincidentally we all met while traveling through New Zealand in November. 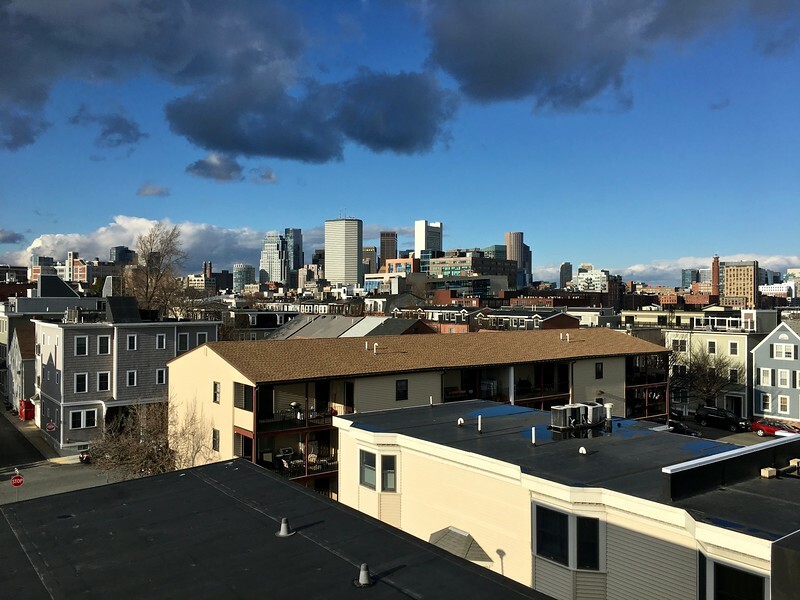 This time we met up a little closer to home (Harvard Square) and swapped travel stories. Luckily, February includes another three-day weekend, and I’ve already made plans to make a quick trip to suburban Philadelphia. I’m going to spend 48 hours with my baby and toddler nephews, which I’m so excited about, even though I’m sure it will be exhausting!